England’s Peak District is a fabulous place to visit with a great deal to offer the tourist, especially those who appreciate natural beauty. 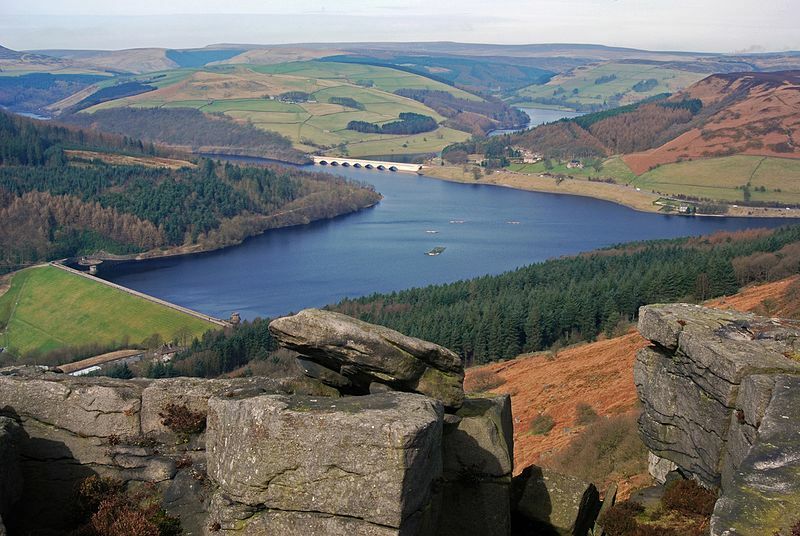 A place I always enjoyed visiting was the Ladybower Reservoir. Why on earth would anyone want to visit a reservoir? Well, although it is man made, it blends beautifully with the rugged local landscape. But it’s also the site of two sunken villages. The reservoir was constructed between 1935 , filling began ten years later and was it opened by the King and Queen in 1945. And in order to create the reservoir two villages, Derwent and Ashopton had to be engulfed, including the woodlands and fields that surrounded them. There are still people today who remember living in the villages before they were submerged. One ex-resident says that tourists often remark to him how lovely the area is to which he responds that it was far more beautiful before his home village was destroyed to make way for the reservoir. Many of the residents of the tiny villages were relocated to the nearby village of Yorkshire Bridge. If you’re looking for accommodation in the area check out the Yorkshire Bridge Inn. History buffs will be interested to know that the No. 617 Squadron (RAF), more commonly known as the Dambusters, used Ladybower and other local reservoirs to test their bouncing bombs. However to me, and it’s a rather spooky thing, an attraction for me is those lost villages and knowing that at one time people lived and worked in the place where we now see a huge body of water. The church spire remained visible. I know people who recall seeing it. A few years after the reservoir was opened, the church spire was demolished but at times of drought in the area, spooky remnants of homes can be visible when the water level drops.